Ali Pasha was a interesting character - so fascinating that I have a print of him on my study wall. Yes, I know, very sad. So a newish biography is an essential read. Quentin and Eugenia Russell use the sub-title "The Remarkable Life of the Balkan Napoleon". This is not an unfair description of the de facto ruler of Epirus with interests much wider than that in the early 19th Century. The weakness of the Ottoman Empire at the time meant that the western powers dealt with him directly, and he played them off pretty well to expand his territories and wealth. Western travellers, like Byron, wrote about him, lending a romantic tinge to the story. He could clearly be charming and courageous, as well as being a murderous rogue. His palaces and a harem of six hundred women, no doubt added to the story! The authors set the scene by putting Ali into the historical context of the Napoleonic wars. They examine the evidence of his early life, which is limited, charting his rise and then his equally dramatic fall to a gruesome death. That is conventional narrative history, but they go on to discuss his diplomatic engagements, what life was like under Ali's rule and his cultural impact. Finally, the aftermath, including his most significant legacy, the Greek War of Independence. A new study is overdue, given that William Plomer's 'Ali the Lion' was first published in 1936. This book probably doesn't add greatly to what we already knew about Ali, but it is well told and is much more than a narrative history. It is also beautifully illustrated with contemporary prints and paintings. 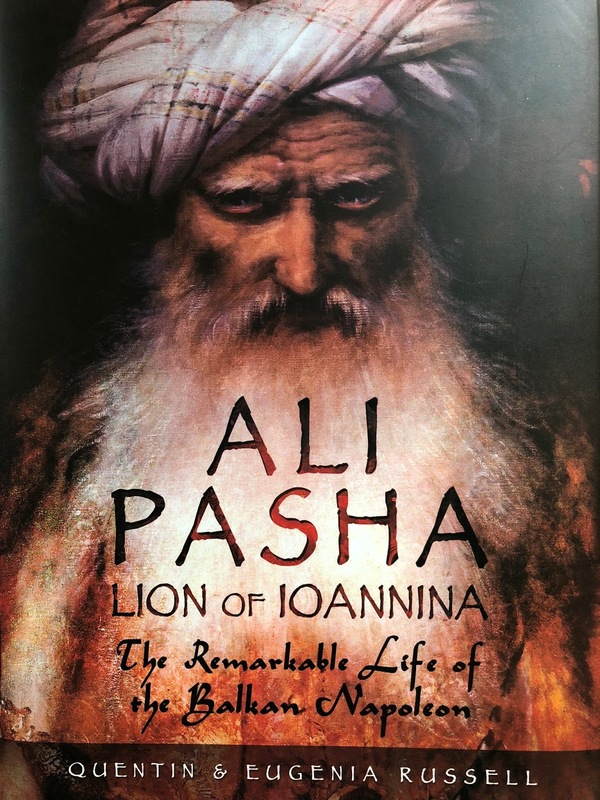 I wrote a short piece on Ali and his army following my visit to Ioannina, which was published in 'The Dragoman'. It makes an interesting variant for wargamers who have an Ottoman army of the Napoleonic period. I have fought a variety of 'What if' battles of the period, mostly pitting him against the Russians, with either British or French support. I am surprised I beat you to the draw for this one! It is a great read and helps to fill in the gaps leading up to the war of independence. I am clearly slipping! Don't know how I missed this last year. Saw it by accident in Blackwells bookshop in Edinburgh.